Mr. Weinstein has been working almost four years creating this unique multi-use project using the Team’s vision and knowledge of the different trades related to engineering, construction and operation as well as of state-of-the-art products and technologies associated with this project to make it a Platinum Green Energy structure. Our construction team will be of World Class and include participants who have already built some of the biggest projects in Vegas, including tallest buildings in the World and are ready, willing and able to build Emerald City anywhere. Master Electrician and Electrical Contractor in Rockland County, New York. 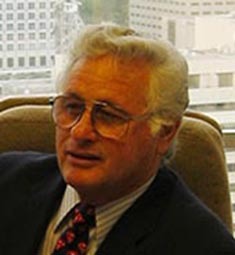 Mr. Weinstein, was Vice President for several South Florida companies related to construction including Supertech Products, Inc., Golden Planet Building Systems and Quantel Ltd. Mr. Weinstein is currently Chairman of the Board and Director of International Sales & Marketing of Prime Energy & Chemical, LLC. Mr. Weinstein helped create the Impact Windows and Doors right after Hurricane Andrew Hit in 1992 and has been with the window business for more than twenty two years and is still active with Titan Glass & Aluminum Company in Hialeah, Florida. Mr. Weinstein is currently working with JIL Solar, Company creating a new state-of-the-art 750 watt design of solar photovoltaic panels which should change the solar power market when ready to go to market. Mr. Weinstein has a long history of civic involvement, including being a Board Member of the City of Miami Sister Cities Program matching Miami and Agadir/ Morocco, General Director of the World Federation of UNESCO Clubs and Director of Global Operations for the AUPEC and Eye on Africa Division.